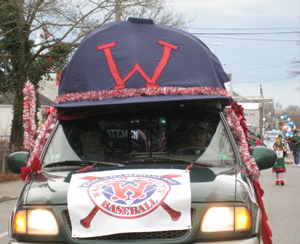 On Sunday, December 9th, Wareham Gatemen participated in this year's Wareham Village Association Christmas Parade along Main Street. 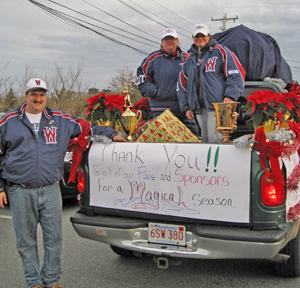 The main theme of the parade was "Main Street Magic." 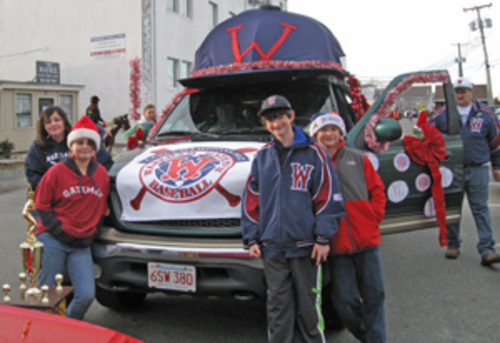 parade go'ers. 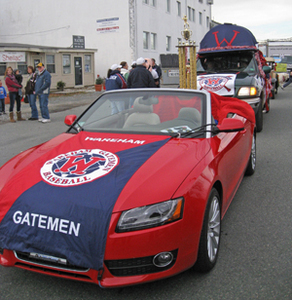 The Gatemen were proud to display their trophies for the Wareham fans to enjoy. them all a 'Merry Christmas." 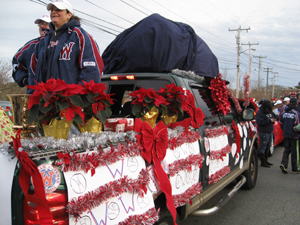 Members who took part in the parade were: Jim and Linda McKiernan, Jeff and Paula Tufts, Pam and Al Blanchard, Tom Crane, Tom and Sheri Gay, Lee Ann Bruno and T.J. Croken as Gary Gatemen. Bat kids presents were: Carla and Jessica Tufts, and Raymond and Anthony Bruno.